Lionel Messi has broken records yet again by lifting a fifth Ballon d’Or trophy, beating Real Madrid’s Cristiano Ronaldo and Barcelona teammate Neymar to the award. The Argentine has consistently proven that he’s one of the best players ever to play the game, wowing fans and doing things other players just aren’t capable of. There are very few men in the world who even come close to matching the sheer brilliance of Lionel Messi, but he was facing real competition in Cristiano Ronaldo and Neymar. Despite being up against two of the greatest footballers alive right now though, Messi still managed a hugely impressive 41.33% of the votes (via the BBC). 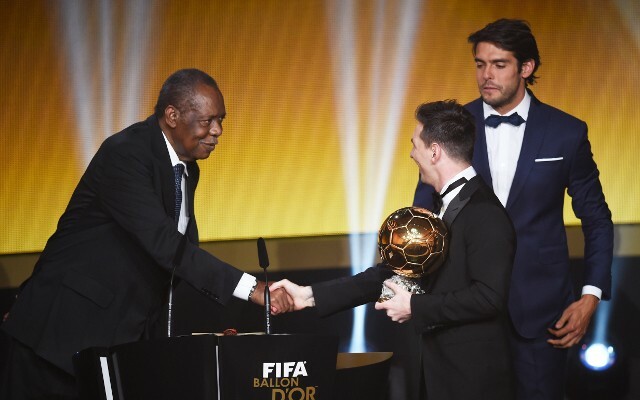 Although some may disagree, it was hardly a surprise to see Messi clinch the prestigious award once again. Ronaldo hasn’t quite been at his blistering best over the last 12 months, and Barcelona have unquestionably had the edge over Real Madrid recently. Messi may have had to overcome injury in order to lift the award yet again, but he’s been phenomenal since his return from the sidelines. The forward trio of Messi, Neymar, and Luis Suarez has yielded fantastic results for the Catalan giants, and Messi certainly has his team to thank for being named winner once again. Congratulations Lionel Messi on winning the 2015 Ballon d’Or award. Well deserved!